• Stay at the camp ground for the whole weekend. You can pitch a tent or park an RV, however there are no hookups. There is a men’s and women’s bunkhouse – $10 per night – Please call 870-427-3414 to register for a bunk. We have men’s and women’s showers. There are motels in town (about 15 miles) where you can stay also. Check out www.harrisonarkansas.org for area motel info. • Cost: Suggested donation is $55 for adults 18 and over. Family rate is $90. 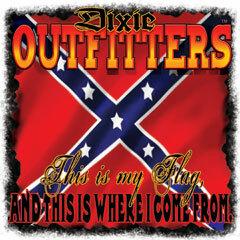 (Individual Registration) 2019 National Faith and Freedom Conference SINGLE	 Dixie Outfitters – This is My Flag!